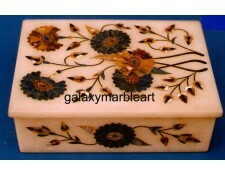 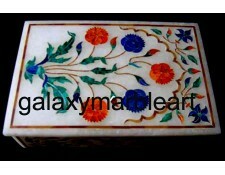 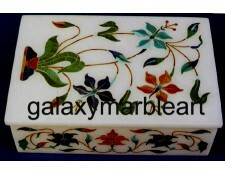 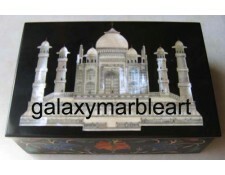 Stone inlaid marble box. 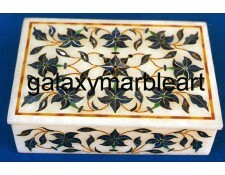 Inlaid with stones lapis, malachite, and cornelian. 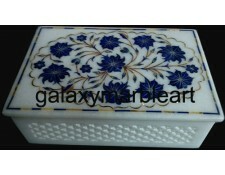 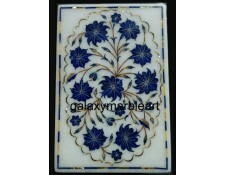 ..
MARBLE INLAY BOXESMarble inlay box inlaid with Paua shell from New Zealand having inlay work only on..